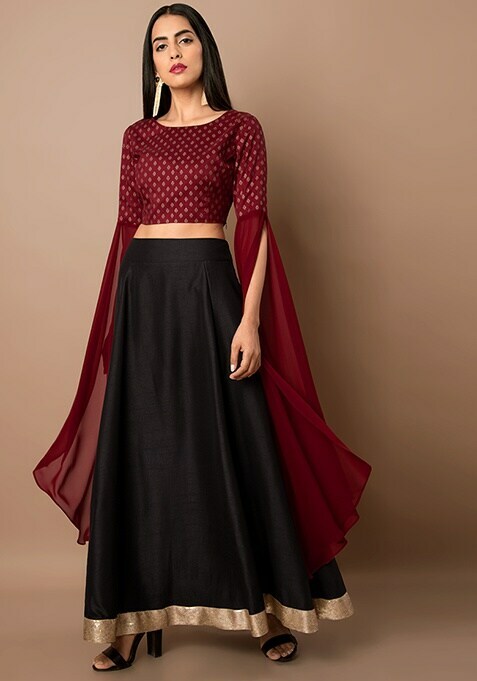 Get party ready in this oxblood crop top that has dramatic long sleeves. Crafted using silk, this foil top has extra long sleeves to make you look unique in a gathering of fashion forwards. Work It: Style this smart top with a trendy maxi skirt to look stylish.